The Farmington Fire Department needed a way to alert people to the perils of inattentive driving. Minnesotans for safe driving decided to help and they created a banner that went on the front of their Fire Department. 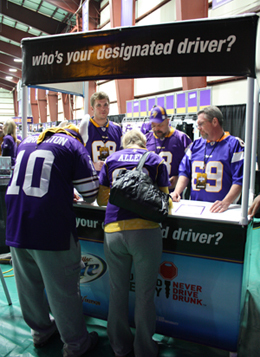 Minnesotans for Safe Driving would like to commend the Minnesota Vikings Football Organization and the Minnesota Wild Hockey Organization for supporting such an important endeavor as the Designated Driver Booth. The booth is a place where people coming to the game can sign up to be a designated driver for the trip home and by doing so will receive a sticker and a coupon for a free pop. 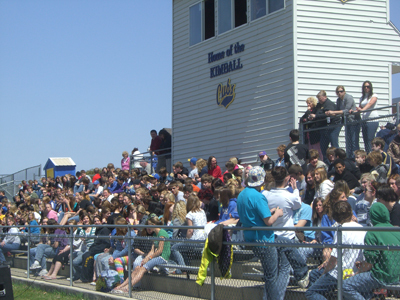 These booths remind people attending the game that they should think about making sure they have a sober driver for the drive home before the end of the game when it may be too late. 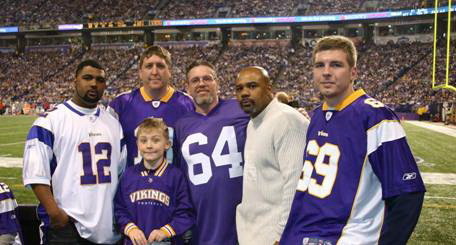 Our volunteers appreciate the opportunity to participate with this worthwhile effort and also attend the Vikings and Wild games. 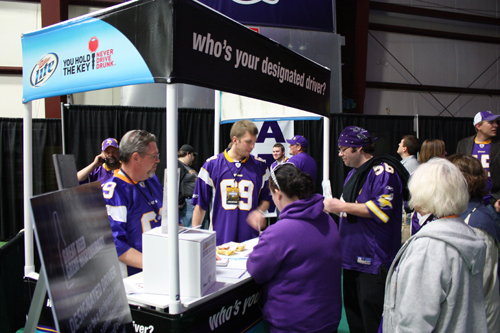 Our volunteers say the fans are constantly commenting on how happy they are to see the Designated Driver Booth at these games. Working with the staff of both organizations has been a pleasure. Typically our volunteers don’t get the chance to have so much fun while working toward a goal of safety on our roadways. 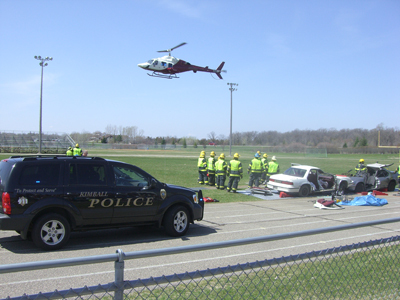 Maureen Johnson spoke at the mock crash demonstration for the students at Kimball Area High School. 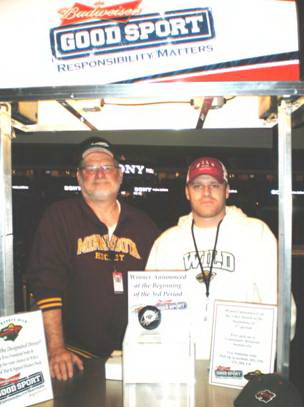 Maureen’s brother John was killed while riding his motorcycle by a distracted teenage driver. She told them about the importance of paying attention while driving and that their actions while behind the wheel do not only affect them, but can affect others, like her.. Her goal with speaking out about distracted driving is to make sure that no other family has to live with what her family has lived with, and to make sure that everyone makes it home safe and sound. 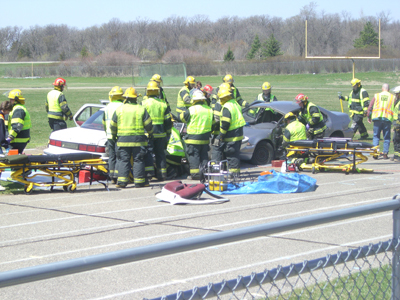 Maureen is one of many volunteers who speak to students and organizations about the dangers of impaired driving which is includes alcohol and drugs but also includes distracted, aggressive and speeding drivers. Call our office for more information about speakers.